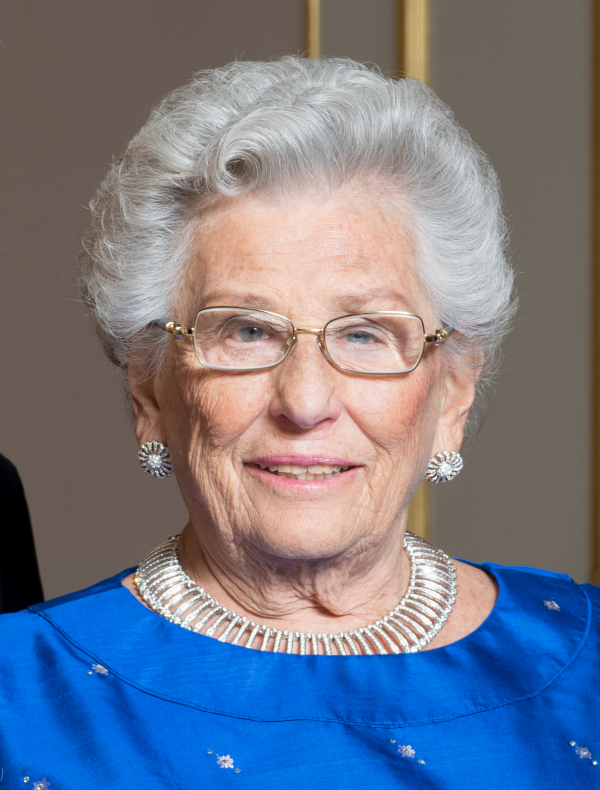 The Norwegian royal court has released a new set of portraits of Princess Astrid, Mrs. Ferner. 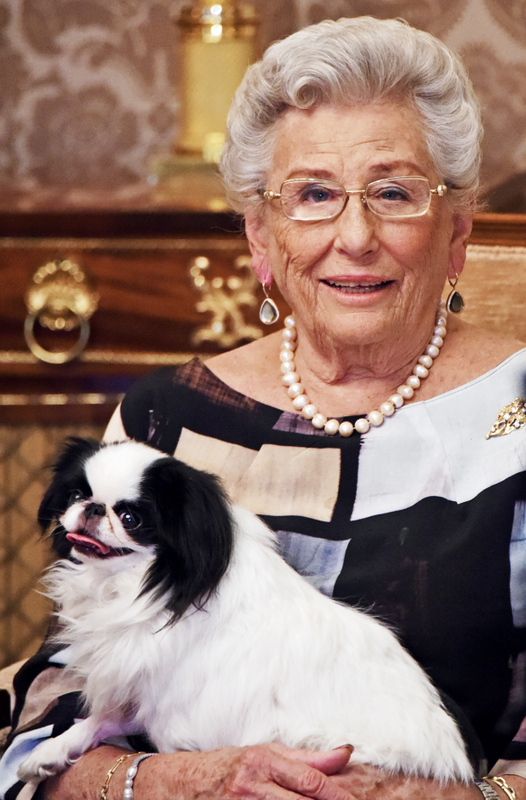 The king's sister celebrates her 85th birthday today, and the jewels she chose for the images show her deep connection to Norway's royal history. 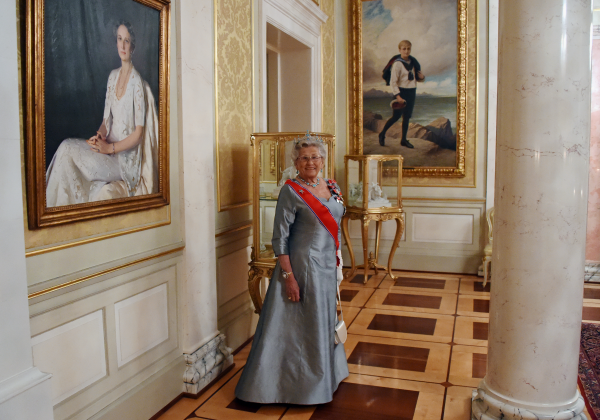 The most bejeweled of the three portraits is this one, which features Astrid standing between portraits of her parents, King Olav V and Crown Princess Martha. She's wearing her heirloom set of turquoise and diamond jewelry. Here's a better look at the jewels. The turquoises were inherited by Astrid's grandmother, Queen Maud, from her own mother, Queen Alexandra of the United Kingdom. 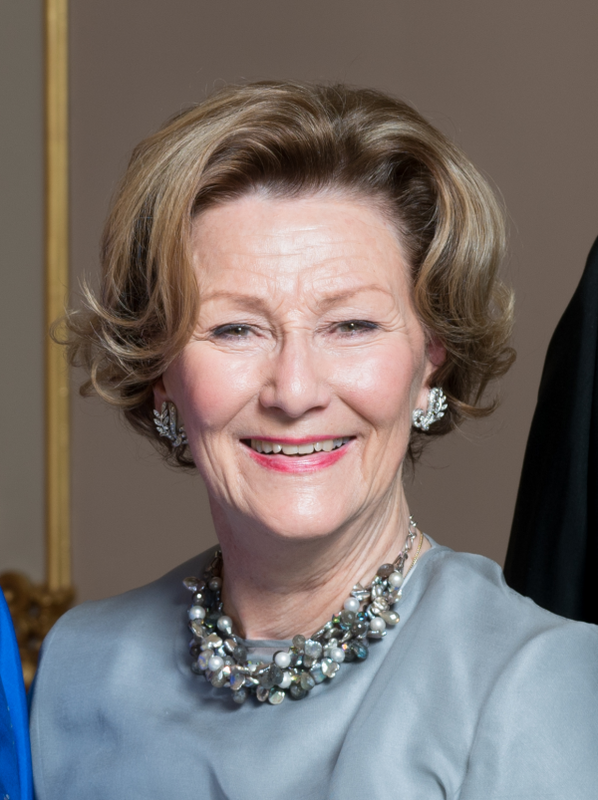 Astrid received the parure after the deaths of Queen Maud and Crown Princess Martha, and she's indicated that the jewels will eventually return to the main line of the royal family. And there's one more interesting royal history connection here; Brock from the RJWMB has noted that Astrid's bracelet appears to be the badge of the Royal Order of Victoria and Albert -- probably the one that belonged to Queen Maud. 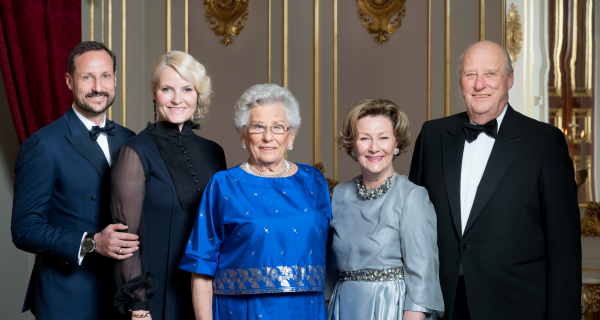 A third portrait shows Astrid with her brother and sister-in-law, King Harald V and Queen Sonja, and her nephew and niece, Crown Prince Haakon and Crown Princess Mette-Marit. Astrid wore a glittering geometric suite of jewelry for this photograph. The earrings are made in a modern, abstract daisy design. 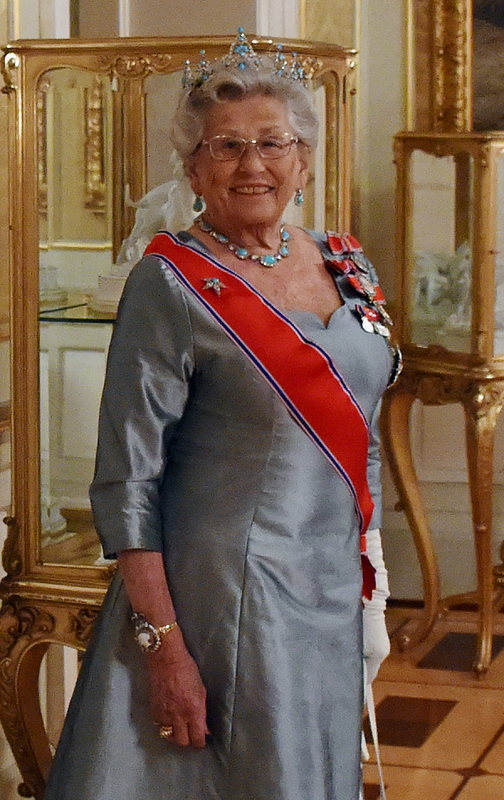 Sonja's necklace matches the belt of her dress. Her earrings feature leaf and ribbon motifs. 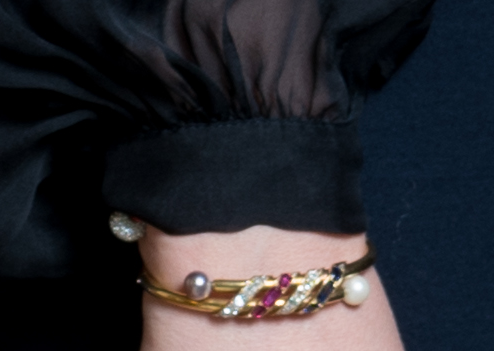 ...and a lovely gold bracelet that appears to be set with rubies, diamonds, pearls, and sapphires. And even Haakon shows off a few accessories: a signet ring and, amusingly, a watch that shows us precisely when the portrait was taken!